How to plan your time for Maximum Productivity each day. 1. We fell for multiple distractions that did not need the sort of attention we gave them. Examples are: checking our phones and emails too frequently, or exploring information which is not going to impact our lives at this time. 2. We did not work to a plan for our day’s tasks. By this we do not mean making lists and setting goals. That’s too obvious. It’s really about prioritizing what we need to do and allocate the right amount of time needed to accomplish them. Successful people force themselves to focus on high-payoff activities and have the correct estimate of the time and concentration they need to achieve each goal. So, given that you already have your goals and that the hours in a day are fixed, its really about a deep understanding of how you will use your time each day for your goals. 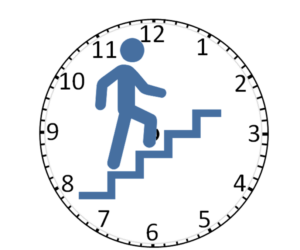 Read moreHow to plan your time for Maximum Productivity each day. 10 ways to make using email more productive. Email is an essential means of communication today. It is quick and reduces the need to personally meet or call a person to communicate something. Plus, the conversation is recorded in writing. However, using email to communicate can also take up a lot of our time, reducing the time we have in the day to complete our tasks. If we manage our email communication well, we will have more time to focus on other matters. Here are 10 ways to make the use of your email communication more productive. 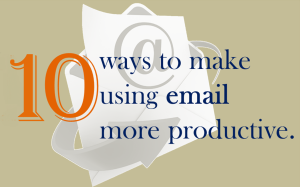 Read more10 ways to make using email more productive. 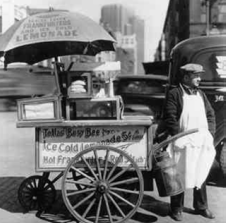 Three steps for hiring the best talent. If you think of the last employees you hired, you may realize that they turned out to be quite different from what you envisioned at the time of the interview. That is because most people are at their best and exaggerate their capabilities during job interviews. So what does that mean for interviewers and organizations? You must refine your selection process to ensure that you hire the person with the right skill sets, temperament and attitude, for both the job and the organization. The three steps I find extremely effective in hiring the right talent are: 1) Writing the recruitment advertisements correctly. 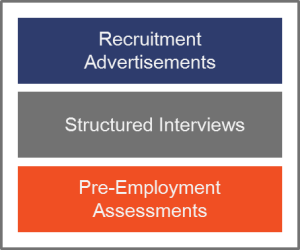 2) Structured Interviews. 3) Pre-Employment Assessments. Read moreThree steps for hiring the best talent. Creating job ownership in employees gets better results. Developing a sense of ownership in employees about their job is one of the best ways to motivate and get higher performance from them. Once they have a clear understanding of the importance of their role within the organization and the opportunities for their personal growth and success, they are much more likely to take the initiative to participate in bringing about the results the organization seeks. It’s important to mentor them with ideas and examples that will inspire them to think creatively about how they can achieve higher results. Read moreCreating job ownership in employees gets better results. Check if your business needs productivity optimization. for higher growth and profits. for higher growth and profits, please contact us. © 2018 Support Functions Inc. – All Rights Reserved.